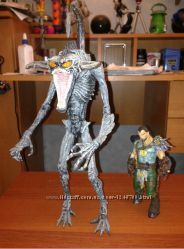 Фото 1-2 Violator III Figure Spawn Classic Series vs McFarlane Series 5 Nuclear Spawn - 900 грн. Фото 3-4 The Violator DELUXE Figure - 900 грн. Фото 7 База - 150 грн.